Michigan winters are ruthless. At any point in time, Michigan can get hit with snow, ice, rain, sleet, hail, cold winds, warm winds, or… All of them in one day! It’s around this time each year that the weather really begins to take it’s toll on us. Unfortunately, winter isn’t just stressful on us; it’s stressful on our trees as well. And even though trees are dormant this time of year, they are not immune to damage caused by the cold, wet weather. The good news is you can be ready! Here are the top 5 ways to protect your trees from winter damage. One of the biggest threats facing young, newly planted trees (or thin-barked trees) is sunscald. Sunscald occurs on cold winter days when the sun heats the bark up which starts activity. Once the sun is covered, the bark temperature drops significantly, killing any active tissue. Wrapping your trees allows the bark temperature to stay consistent, protecting the tree from sunscald. Also, as an added bonus, tree wrapping eliminates a food source for hungry critters, and it protects against damage caused by salt and snowplows! 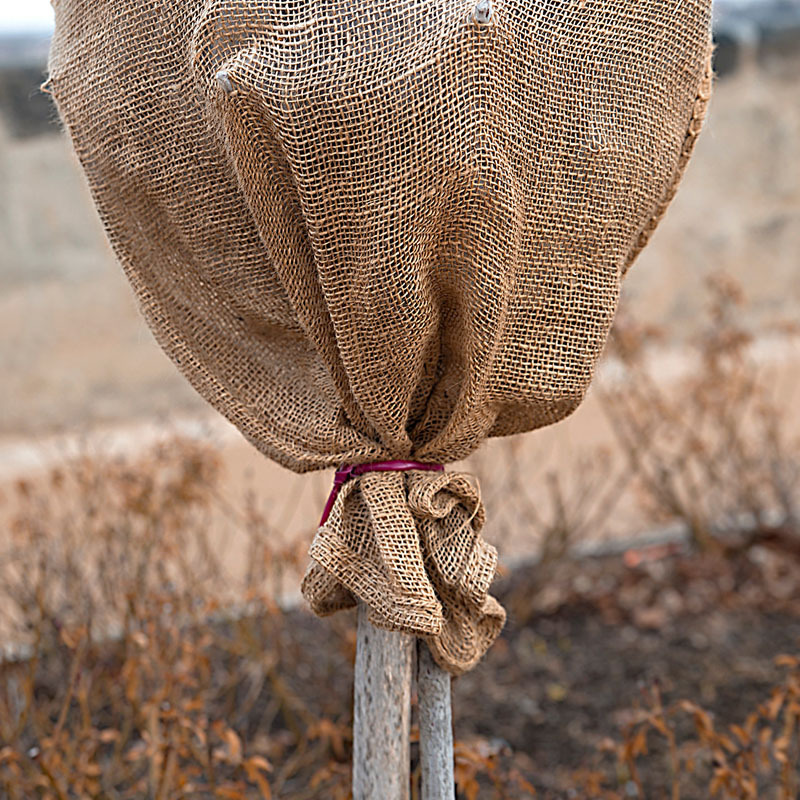 One of the keys to survival for trees during the winter months is water retention. One of the biggest threats your trees face this winter is water loss due to freezing cold winds, the frozen ground, or from salt. Wilt pruf is an anti-desiccant spray you can apply to your trees to aid in preventing transpiration caused by the weather. 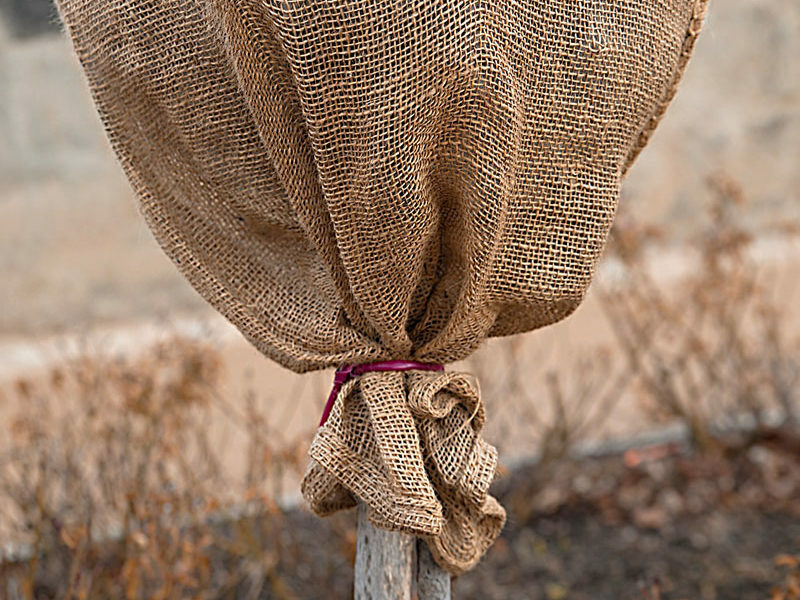 It’s a safe, all-natural way to protect your trees from winter damage. While some snow is actually good for your trees, as it provides insulation, too much snow can cause damage. Heavy amounts of snow or ice can cause branches to bend and break, leaving healthy portions of the tree exposed to the elements. 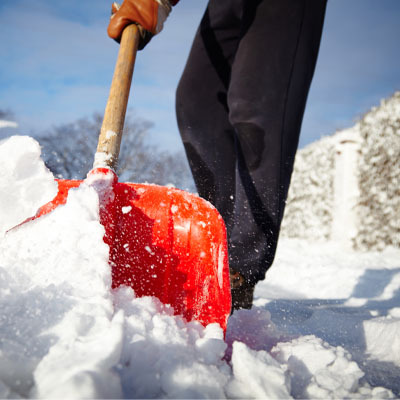 If it appears like snow or ice is weighing down parts of your tree, go outside with a shovel or broom and gently brush the snow off the branches, or break the ice. As previously mentioned, retaining moisture is critical for your trees during the cold winter months. When spreading salt, be careful to apply only what is needed, where it is needed. Keep it on your walkway or driveway, and not in your grass or near your trees. 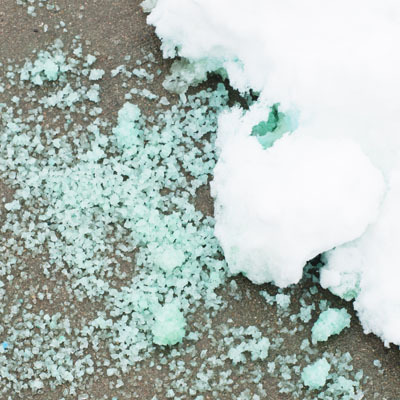 You may also want to look at using an alternative de-icing salt (calcium chloride/magnesium) that will have less of an effect if it gets near your landscape. Although trees are dormant during winter, they still have some metabolic abilities that allow them to absorb water. Keep an eye on the weather, and if there are a couple days where there is warm weather (38 degrees or above), no snow, nor high winds in sight, you can go outside and water your trees. Make sure to water early on in the day, and water less than you would during the spring or summer. It will help!